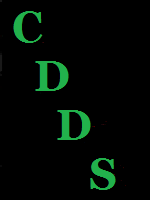 I am hoping you can help me with an issue I am having with CDDS. The issue is NOT with CDDS. I am using Version 2 and it's the same version I am running at home with no issues. The trouble is I am on my dad's computer in another state for a few more months. When I try to create a dim, either one at at time or by batch processing, CDDS will lock up and give me that "Not Responding" error. I am almost positive the issue is with the security settings on my dad's computer. Any idea what might make CDDS lock up like this? I figured you might have an idea where to look. If not, no biggy, I can totally gut the security on this computer if I have to, I was just hoping there was a faster more direct direction to take lol.